Day: Every Thursday usually from 8.30pm (please arrive 10 minutes early ready for a prompt start, thank you). The Sunyata Fifth Precept Sangha is a peer support group for people who are suffering because of addiction problems, substance abuse, depression, stress, burnout, or other forms of obsessive behaviour. We offer a learning space for those who would like to work on relieving their stresses and anxieties. From the position of recovery, our practice lies in awakening the heart of wisdom and compassion. This heart is our own true heart — the essence of peace, harmony and joy — and it is not separate from the heart of all beings. Underlying all our practice is truthfulness and honesty. When one is truly honest and on the path, one can begin to fully recover and “awaken” to a rich and boundless serenity. So whether we are recovering from addiction, living with addicted people, suffering burn out, obsession, or just recovering from life, all are welcome and you don’t need to be Buddhist to reap the rewards. All are welcome! 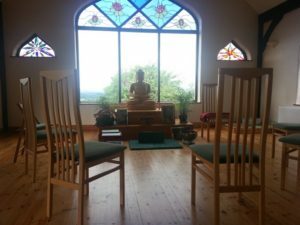 Our mindfulness-based “Sit-and-Share” meditation meetings will be held Thursday evenings in the Meditation Hall at Sunyata Buddhist Centre. Each ‘sit and share’ meeting begins with 10-minutes of serenity meditation. This is a simple breathing meditation to calm the breath, relax the body and quiet the mind. This is followed by a further 10-minute active contemplation of a topic chosen by the group. This meditation involves the examination of the chosen topic in all areas of our life. Individuals are then invited to share on the topic as it relates to their recovery or abstinence. There is no expectation or obligation on any individual to ‘share’; they can simply ‘pass’ if they so wish. The last meditation of the night may be a guided or a silent 30-minute ‘sit’. No registration needed – just show up. Meetings operate on an informal drop-in basis and are suitable for all levels of experience. No fee – donations only. There is no charge to attend these meditation meetings, you just need a desire to be free from the suffering of addiction. A donation (Dana) towards the centre’s running costs and refreshments would be welcome but is not compulsory (suggested €3 or concessions €2). No one will be turned away for lack of funds. 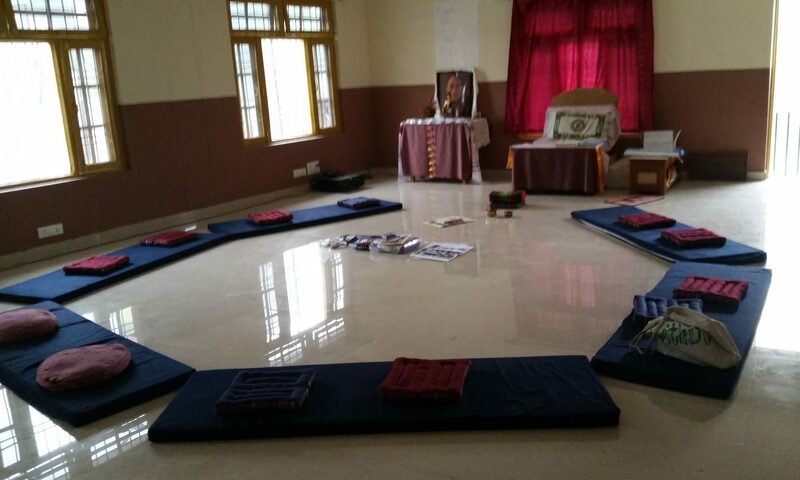 Seating is on the chairs and meditation cushions provided. Dress comfortably. You are also welcome to bring your own blanket, cushions or meditation stool for comfort. 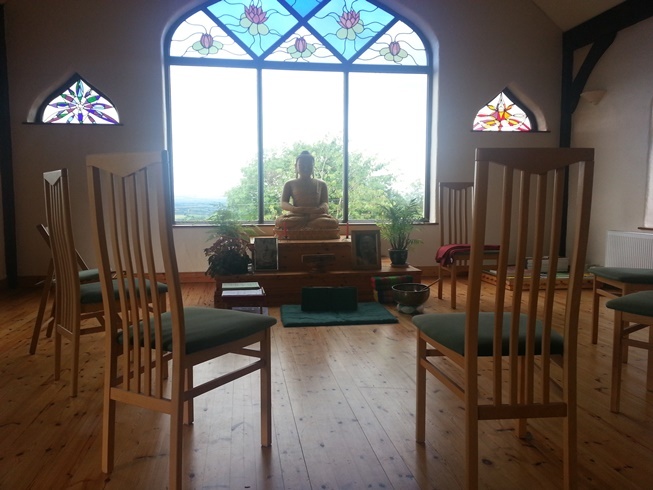 An international directory of Buddhist Recovery Meetings can be found here. There is a Life without alcohol, drugs and other compulsions - it's a good Life! | Copyright © 2019 Fifth Precept Sangha | All rights reserved.